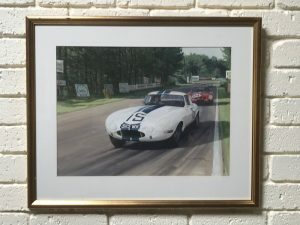 “Original” art done under commission for us by renowned Artist, Nicholas Watts. 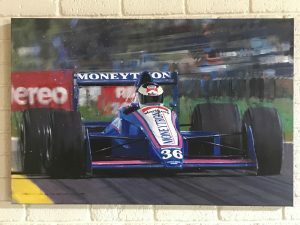 The art measures 20 x 10“ and is professionally framed with acid free material and UV glass to an overall size of 26 x 15“. 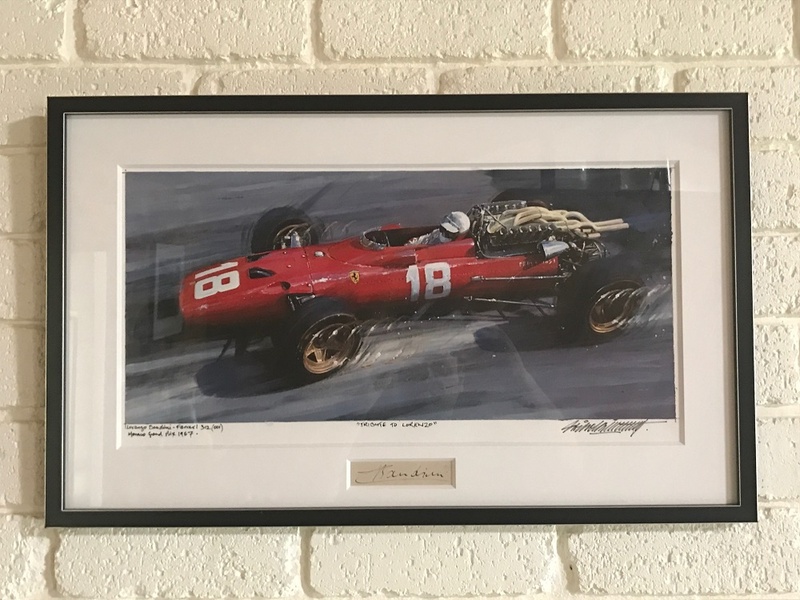 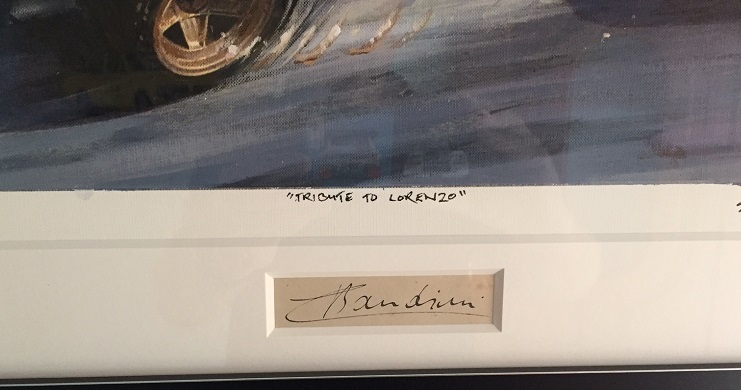 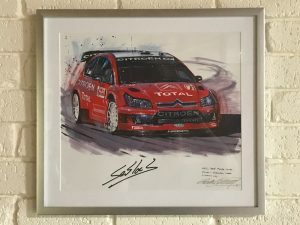 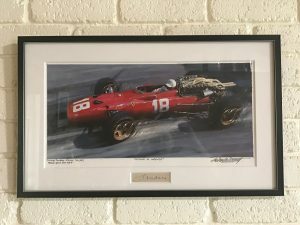 Watts has named and signed the piece “Tribute to Lorenzo” Underneath the art is an original autograph signature of Lorenzo Bandini (1935 – 67). A fine item.